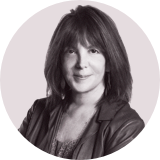 A powerful, entertaining, and inspiring speaker, Linda Kaplan Thaler shares stories from the front lines of the advertising business, showing firsthand the impact of determination and focused attention. Linda Kaplan Thaler and Robin Koval reveal the real secret to success: the incredible power of perseverance. These two women from the Bronx relied solely on their own hard work to make it to the top, and in Grit to Great, they share strategies to help you succeed, too. 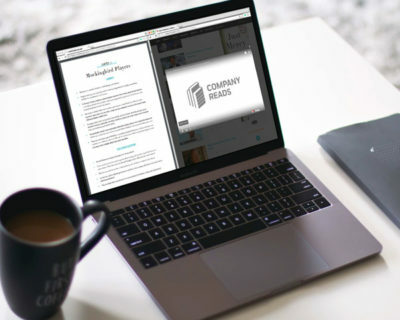 Curated content enhances Linda’s lessons on and secrets to success. 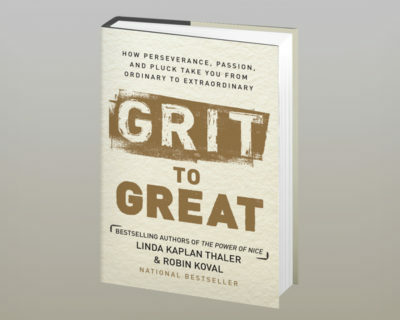 Getting from Grit to Great: Linda Kaplan Thaler discusses how more than anything else, determination was a defining factor in her success. 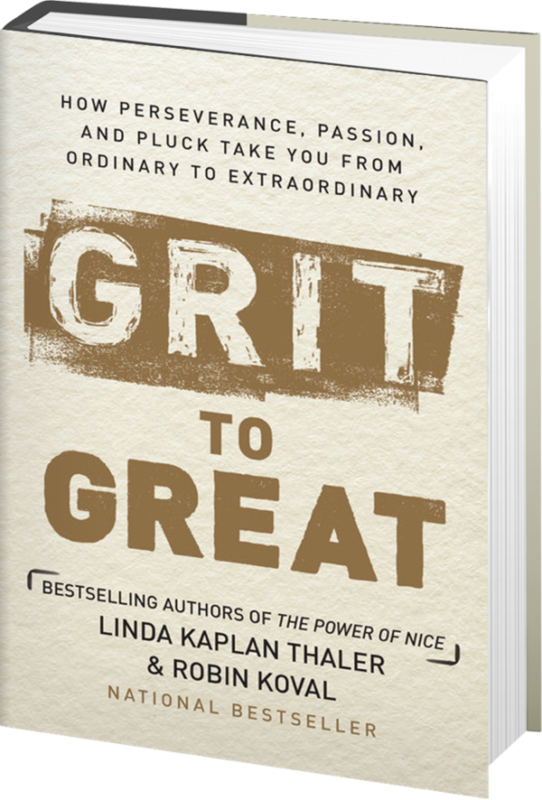 Linda Kaplan Thaler takes on a topic that is close to her heart: the power of grit. 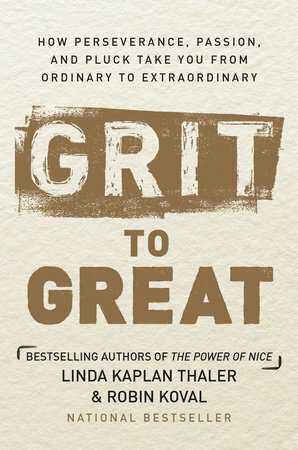 Using research, personal stories, and “how-to” tips, she reveals how grit is something everyone—from entry-level employees and budding entrepreneurs to C-suite executives—can and should leverage for success in their own lives. Through her own experiences and captivating examples from the business world, Linda demonstrates why nice people finish first and encourages teams to cultivate kindness in the workplace and beyond. When pursuing a big goal, it’s easy to forget that small actions can often make a crucial difference. 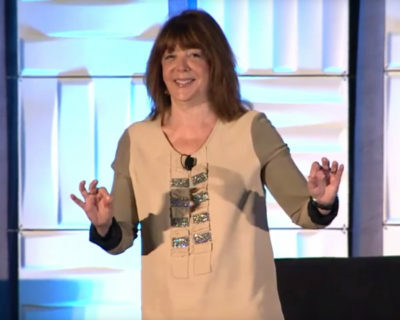 In this talk, Linda Kaplan Thaler explores how even the smallest actions and gestures can have outsized impact on even the most distant-seeming goals. We are all dazzled by the notion that there are some people who get ahead, who reach the corner office because they are simply gifted, or well-connected, or both. But research shows that we far overvalue talent and intellectual ability in our culture. The fact is, so many people get ahead–even the gifted ones–because they worked incredibly hard, put in the thousands of hours of practice and extra sweat equity, and made their own luck. In a book illustrated with a cornucopia of stories and the latest research on success, the authors reveal the strategies that helped them, and countless others, succeed at the highest levels in their careers and professions, and in their personal lives. 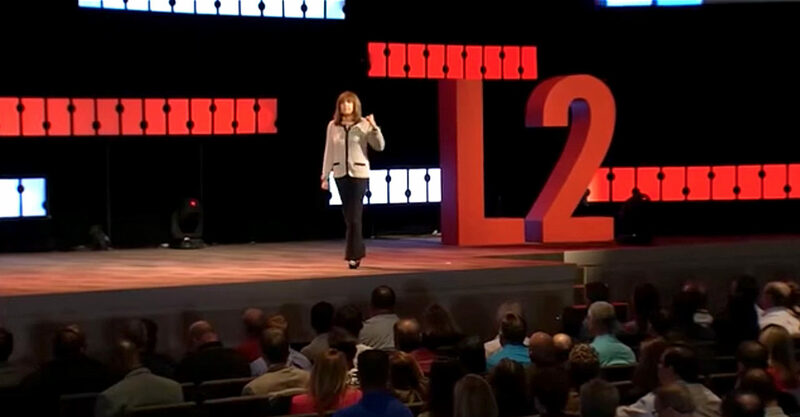 Learn how Linda Kaplan Thaler’s strategies for finding success in the workplace and beyond can motivate your team.